I have been using MyFICO for about 7 years now. I started using it when I wanted to improve my credit and get some negative items taken care of. Once that was done, I maintained my Scorewatch subscription to keep track of any changes or inquiries on my credit report. The reason I like MyFICO so much is that it gives you true FICO scores unlike a lot of the other credit report/score sites. It's easy to use and you get text alerts when information has changed in your reports. It may seem a little more expensive than some of the other sites, but the information is a lot better. We were building a new house with Aspen Homes and using The Group as our real estate brokers. 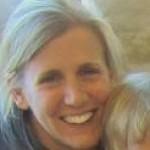 We were assigned Tara as our loan officer via The Group in Fort Collins, CO. She was great at finding loans for us. Also, if there was a lower rate available, she had no issues redoing the calculations for us, even as our closing date approached. We felt like we got the best rate available at the time and we know that it was Tara who helped make that happen. She was very friendly and was available to talk to most of the time. She was also very prompt in responding to phone calls and emails, which we had a lot of during that time. I have had the GAP store card for two years now. I use it very often, but pay it off as not to accrue a lot of interest since the APR is fairly high (22.9%, I think). What I really like about this card is the rewards. You can accrue points that eventually add up to $10 store vouchers. With the ability to shop at Old Navy, GAP and Banana Republic, I can accrue these points rather quickly. I actually have $50 to use right now. I also like some of the other perks of being a cardmember. Fairly often I will receive coupons in the mail for 40% off at GAP or Old Navy, which is purely for cardmembers. I have taken advantage of these offers quite a bit. All in all, it's a great card. If it had a lower interest rate, it would receive 5 stars from me. I didn't originally choose First Tech to service my car loan for me. They were one of my choices while buying a Jeep through a dealership. However, over the course of that loan, I came to love First Tech. Their customer service reps are extremely kind and helpful and they are one of the few credit unions I've encountered that allow you to pay and change payments on their website. When the time came to trade in my Jeep for a new car, I had to call them for a payoff. They asked if I would like to apply for my new loan through them. At first, I kind of brushed it off, but after talking to my husband, he suggested I give it a shot. Well, I was approved within one hour for a rate better than anything the dearlership was offering at that time (3%). All I did was take a few pieces of paperwork to the dealership and I had my new car! It was nice not to have to hassle around with financing through the dealership and allowed me to focus on getting the best price for the car and my trade-in. I would not hesitate, when I am purchasing a new car, to go through First Tech again. They have been absolutely awesome. I currently have a car loan through PSCU, and I love it, for the most part. I did have an issue once, where payment was not credited although I had paid in person with a check. It was a very easy issue to resolve, as their customer service is exceptional. I went to my local branch and brought the issue to their attention after I found I had been charged a late fee. I showed them a copy of the check being cashed well ahead of the due date, and the customer service rep had no issue removing the late fee and possible negative information that may have gone to the credit bureaus. I really appreciate that they take the time to listen to your issues and actually WANT to help you, rather than turn you away. In fact, the next time I go shopping for a car loan, I will go through PSCU first. Their rates are great and you just can't beat the customer service. I have been with Chase for about 6 years they have been great. The checking account I have is free, as I was moved to Chase when they acquired WaMu and WaMu had free checking. I have never really had an issue with any aspect of Chase's checking accoounts. I also have a savings account and some credit cards through Chase. Any time an issue has come up, it was promptly and politely handled by a Chase customer service representative. There was an issue of a fraudulent charge on my account and it was handled very quickly and the money was back in my account within 2 business days. I can't ask for a quicker response than that. While, I generally don't think they're the best in the business, they are certainly adequate and their checking account products meet my satisfaction. I would have no problem recommending Chase to friends or family. Will paying off my mortgage affect my credit score?